Looking for a home office...? constructed in a fraction of the time. We have an installation team that works every week in the Slough, Berkshire area. 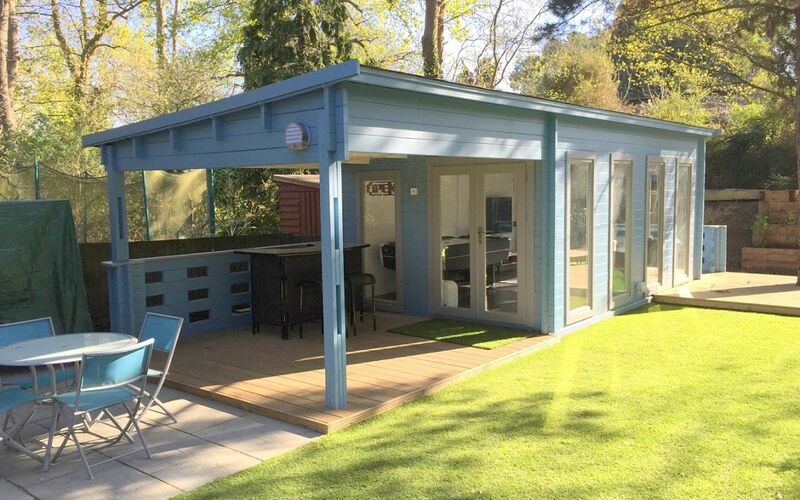 In the past year we have installed log cabins and garden home offices in Eton, Farnham Royal, Stoke Poges, Iver Heath, Chalvey, Upton, Dorney, Datchet & Colnbrook. We design and build the highest quality log cabins available in the UK. We have a large range of log cabins in Slough to suit all requirements and budgets, and we are different from most garden building suppliers in that we specialise in building bespoke, made to measure log cabins that are draftsman drawn and hand crafted to meet your exact specifications. Creative Living Cabins design and build the highest quality log cabins, garden home offices and leisure garden buildings available in the UK. Our large range of log cabins is designed suit all requirements and budgets. But what makes us different from many other garden building suppliers is that we specialise in building bespoke, made to measure log cabins that are draftsman drawn and hand crafted to meet your exact specifications. We are justifiably very proud of our range of log cabins, in relation to quality of the building materials that we demand, and the exclusive features that we build in. We also source all our timber products from harvested and sustainable forests. Our log cabins in Slough are constructed from Siberian spruce with an interlocking plank system. This method is superior in every aspect to the conventional panel options offered by other manufacturers. We use a double tongue and grooved wind lock system that is a natural barrier to the elements which is available on all our buildings with a 35mm wall and above. Creative Living Log cabins are an imaginative & cost-effective way to add quality space to your own home, and perhaps even increase its value. Log cabins are highly versatile, with a multitude of uses, depending on your individual requirements. 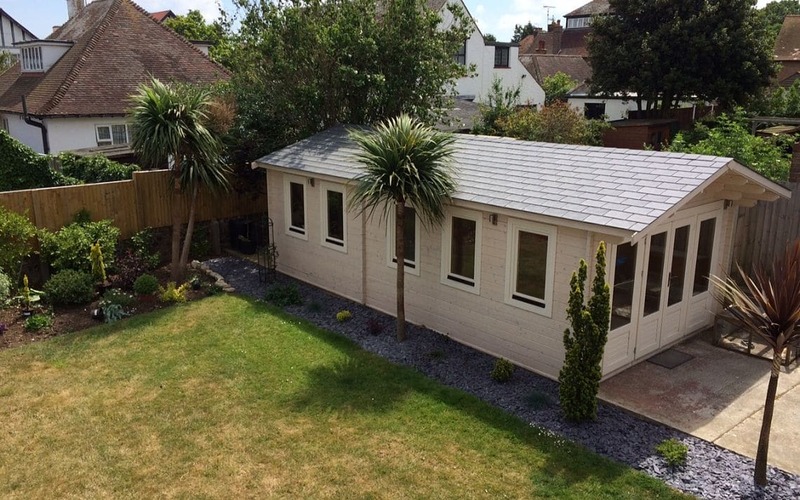 Typical uses are garden home offices (which are becoming increasingly popular) summerhouse, a home gym, entertainment room, a child’s playroom, a hobbyroom, timber garage or timber workshop or maybe you need some seprate living accommodation for a teenager or family member. Because we specialise in building totally bespoke log cabins, we can help you design the perfect living space or leisure building. We do not sell our Cabins online. We have 3 large display villages in Surrey, with many Cabins furnished, and you are welcome to browse and visualize how our stunning cabins can be enjoyed. Why not come and have an informal chat with one of our friendly sales staff, and discuss your requirements. We will be delighted to see you, answer any questions you may have, and explain all the benefits of a Creative Living cabin. We offer a free site survey to all potential customers in Surrey and surrounding areas. This service gives you the opportunity to discuss your ideas and the cabin design you have in mind, and is completely without obligation on your behalf. 4. FREE bespoke cabin design & drawing service. Design your own log cabin with the room sizes you want! If none of our standard log cabins give you the space or design you have in mind then we can help you design your own log cabin. Your dream cabin will be designed, supplied and installed with the utmost attention to detail. And we are here to help after you have settled in, should you need us. Our Cabins are used for a huge range of purposes, ranging from Home Offices through to Gymnasiums, from Hobby Rooms to Children’s Playrooms. Want air conditioning for cool air in the summer and warm air in the winter? Or perhaps a superb recycled rubber slate roof to add a natural finish to your cabin. Our previous customers are our best advertisement. Since 2008, we have built cabins for hundreds of delighted customers. Many of them have been more than happy to share their experience. Creative Living log cabins can be utilized in many exciting ways. 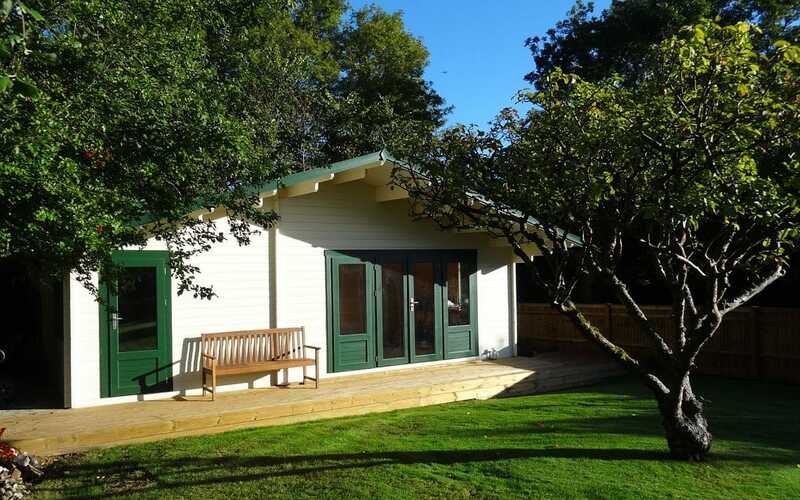 Our log cabins in Slough have been used for home offices, summerhouses, hobby rooms, pavilions, garden buildings of all types and even home gymnasiums. Below are a few examples of cabin projects we have designed and built for our customers. DO YOU WANT TO DESIGN YOUR OWN CABIN, SPECIFY ROOM SIZES, SITE DOORS & WINDOWS? Our sales team and specialist draughtsmen are available to help every step of the way. This service is free to all our customers in the Slough area who want something different and unique.